Helmsdale's history goes back centuries before the construction of Helmsdale Castle in 1488. The castle's main claim to fame was as the location of the poisoning of the 11th Earl of Sutherland in 1567 by his aunt, Isobel Sinclair, to clear the way for her own son to become Earl. 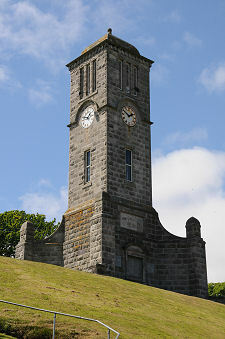 The castle fell into ruin in the 1800s, though old photographs still show a substantial tower standing on the south side of the mouth of the River Helmsdale. Sadly this was demolished to make way for the building of the new road bridge over the river in 1970 and its site is now marked by a plaque on a concrete block. And, in case you're wondering, the poisoning didn't have quite the desired outcome. The son who was intended to benefit from the deed also, apparently accidentally, drank the poison and died. Isobel Sinclair later committed suicide, less from remorse than to avoid the gallows. Helmsdale's origins date back at least as far as the Vikings. They sheltered in the mouth of the River Ullie, or River Helmsdale as it is now more usually known, and established a settlement here. But most of what you see in Helmsdale today dates from a more recent period of history: and an unhappy one. In the early 1800s almost all of the inland settlements in the area were cleared of their inhabitants in order to make way for more profitable residents: sheep. Clearances took place right across the Highlands and Islands, but those perpetrated by the first Duke of Sutherland in this area were amongst the most notorious. The Highland Clearances are today commemorated by the Emigrants Statue, perfectly located high on the south side of the valley of the River Helmsdale where it affords excellent views across Helmsdale. 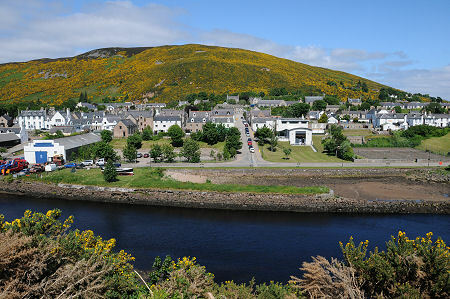 Helmsdale grew as a planned village from 1814, laid out on a grid pattern by the Sutherland Estates. Some of those cleared from the inland settlements were housed in Helmsdale, as an alternative to being shipped to the colonies or to the USA. The aim was to create a community able to live from both fishing and farming, and in particular to take advantage of the herring boom then in full swing. The harbour was built in the years from 1818, and extended in 1823 and again in 1892. As you look around Helmsdale's harbour today, try to imagine it as home port for the 200 or more herring boats that once operated from here. 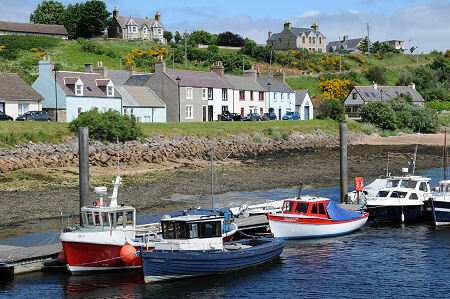 The harbour is still a focus for the life of Helmsdale. There are still a few fishing vessels based here alongside the leisure craft, and you still get some of the feel of a working harbour. 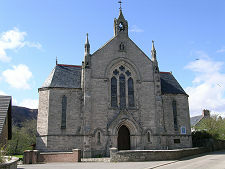 A more recent attraction in Helmsdale is the Timespan Museum and Arts Centre. This gives an insight into the colourful history of Helmsdale and the surrounding area. Other facilities include a gallery showcasing the work of international, national and local artists; an excellent cafe overlooking the riverside garden; and a gift shop. The Timespan Heritage Centre also contains information about the gold rush of 1869, which focused on two tributaries of the Helmsdale River in Strath Kildonan. It is still possible to pan for gold at Baile an Or (place of gold) inland near Kildonan railway station. Until the building of the new bridge at the time of Helmsdale Castle's final demise in 1970, the A9 turned inland and crossed the River Helmsdale at the inland end of the village's main street via a two arch stone bridge beautifully built by Thomas Telford in 1811. The old bridge remains, but the main crossing now lies at the seaward end of Helmsdale where the A9 takes a straight line through the village.